Aeroflot has taken delivery of its 50th Russian-built Sukhoi Superjet 100 (SSJ 100) aircraft. The arrival of its latest locally-built jet marks the Russian national carrier’s completion of its acquisition contracts for the type, while finalising the new contract for 100 more SSJ100s. The latest newly-delivered Sukhoi Superjet 100, on a 12-year operating lease from state-owned VEB-Leasing, is configured with 12 seats in business class and 75 in economy, a standard seating layout for all of the airline’s Superjets. The ‘jubilee’ aircraft, with registration number RA-89115, is the 20th SSJ 100 taken by the airline under the US$702 million contract with VEB-Leasing in an agreement announced in July 2017. Since June 2011, 50 Superjet 100s have been delivered to Aeroflot, which remains the biggest customer for the type. 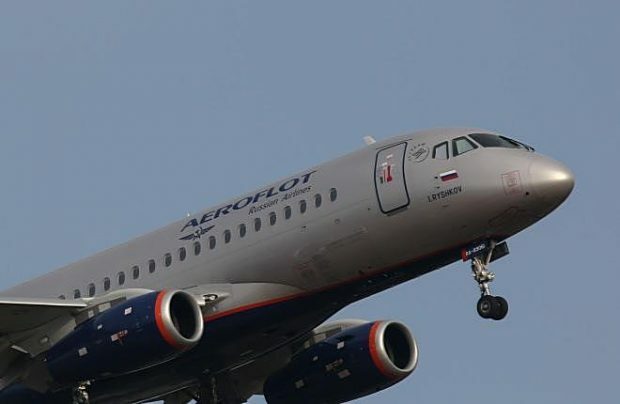 Earlier this month Aeroflot signed a preliminary agreement for the purchase of an additional 100 SSJ100s, with deliveries planned to commence in 2019 through to 2026. The complete contractual documentation is yet to be signed by the latter, which will come after the finalisation of all the essential terms of the contract – including the appropriate corporate approval – the airline insists. Fully implemented, the deal will be the largest of its type in the history of Russia’s modern civil aircraft industry. Upon receipt of these regional jets, Russia’s state-owned flag carrier, and its sister airlines, will open new regional bases to develop Russia’s domestic air travel market. While Superjet’s Russian fleet is poised to grow, western airlines scale down the type’s operations. Mexico’s Interjet is planning to phase out some of its SSJ100s. Brussels Airlines will discontinue four aircraft wet-lease contract in March 2019. Currently, Aeroflot’s 249-strong aircraft fleet, one of the world’s youngest, consists predominantly of western-built aircraft, including 79 Airbus A320s, 39 A321s, 22 A330s, 42 Boeing 737-800s, 17 Boeing 777-300ERs, as well as the 50 SSJ 100s.